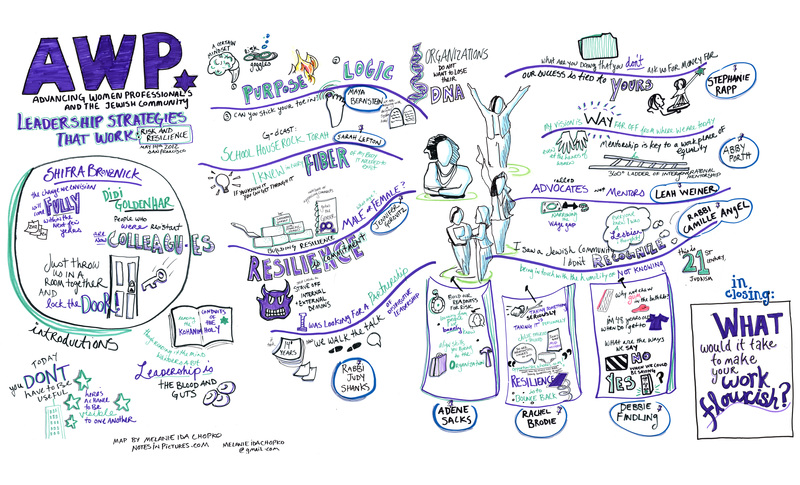 An infographic from AWP's 2012 conference entitled Risk and Resilience that describes leadership strategies that will make your work flourish. Conventional wisdom says that scaling social innovation starts with strengthening internal management capabilities. This study of 12 high-impact nonprofits, by Heather McLeod Grant, however, shows that real social change happens when organizations go outside their own walls and find creative ways to enlist the help of others. A leading executive recruiter suggests that if Jewish organizations want more qualified women candidates to compete for CEO positions, they need to give female senior managers the opportunity to develop the skills required of a CEO. Carrie Bornstein and Aliza Kline detail the true-life story about succession planning, and professional development from a women-led Jewish community organization, based in Boston, MA. A tool to map out individual and organizational “actors” involved in the formation and implementation of policy. This exercise helps identify who holds power, visualize relationships, and identify allies. A set of questions regarding formal and informal positions in an organization, where you are personally in your life and career, your political portfolio, and what resources are available to you. An environmental assessment worksheet for managing change within your organization, developed by CLA (Cambridge Leadership Associates).